I am in Christ! 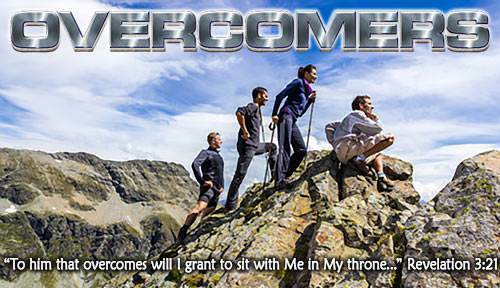 Lesson 5 Questions in "Overcomers"
a) many families in the world. b) two families in the world — the family of Adam and the family of Christ. a) as being in Adam or in Christ. b) as being good or bad. a) to be a friend to those in Adam's family. b) to share in all that Adam did and all that he was. a) God took me out of Adam's sinful family and put me in Christ's family. b) God started helping me to be a better person. 6. How did I get into Christ? a) God put me there. b) I worked at it. a) to share in all that Christ did and all that He is. b) that I am trying to be good enough to go to Heaven some day. a) because I have become a sinless person. b) because I am in Christ. a) the way God sees me in Christ. b) the way I live here on earth. a) I now have a new position in God's sight; God now sees me in Christ. b) I now have the same position I had before, but I am a better person.